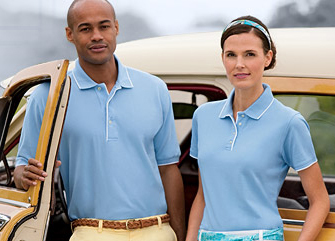 Palay offers quality clothing perfect for uniforms, events, and product promotion. We bring you the quality brands you can trust. Below you will find information on some of our most popular brands. Quality construction makes this sportswear perfect for corporate apparel. 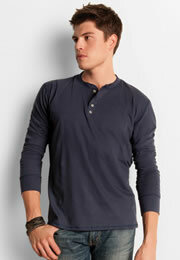 Outer Banks® offers full line of casual, yet luxurious apparel for both men and women. Outer Banks® is a brand built on quality, craftsmanship and value. Outer Banks® sportswear has the look, feel and durability that say quality. You can see it in everything from the design detail to fabric choices to the relentless testing that goes into these garments. Since these classic shirts never go out of style, they’re always a hit with your customers. They look great and wear well – thanks to details such as hand-tucked collars, cross-and-lock stitched buttons, dyed-to-match twill neck tape and more. America has been wearing Hanes apparel for more than 100 years! Customers trust the Hanes® brand to deliver comfort and quality. Hanesbrands Inc. is a leader in the industry, Hanes products are found in more than 90% of households in the US. today. The Hanes Beefy-T, introduced in 1975 is the original shirt designed for printing and is made with soft ring-spun cotton. Like the Hanes brand itself, the Beefy-T has become a legend. High quality athletic apparel has been winning customers for over 90 years! Since 1919, Champion Athleticwear has pioneered some of the most important innovations in athletic apparel, from the Reverse Weave sweatshirt to the first mesh practice shorts and the sports bra. The Champion brand proudly provides a full range of apparel from competitive team uniforms to active inspired lifestyle products. This innovative athletic wear is as comfortable on the field and in the gym as it is at home. Bella® offers high quality fashion forward clothing for men and women. Bella® gives you the perfect fit while offering comfort and durability. 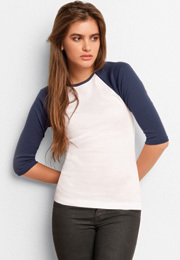 Bella strives to use sustainable fabrics like 100% organic cotton whenever possible.